Our increasingly busy lifestyles can make it tough to find the time for elaborate Shabbat preparations. And in winter, when Shabbat begins early, even the most organized among us can feel the rush to finish cooking in time for candle-lighting. But with smart planning, it's possible to put delicious home cooked meals on the table. The trick is focusing on easy-to-prepare recipes that come together quickly, like these. Caramelized Onion, Fennel, & Mushroom Soup (Meat or Pareve)— It only takes about 15 minutes of hands-on prep to make this easy, elegant recipe from cookbook author Kim Kushner. While the soup simmers, you can make the rest of the meal, then get ready to relax and enjoy it. Apricot Lime Chicken, Potato, and Broccoli Sheet Pan Dinner (Meat)—It's almost embarrassing how little work it takes to put together this tasty meal. But with such delicious results and minimal cleanup, you may find yourself making it even when the time isn't a factor. Rainbow Slaw with Tamari-Ginger Vinaigrette (Parve)—This crunchy, colorful slaw makes a great complement to the Apricot Lime Chicken. A food processor makes especially quick work of shredding the vegetables, but you can easily chop them by hand. Bonus: leftovers make a delicious addition to Shabbat lunch. Sunken Berry Cherry Cake (Pareve)—Because the batter is made with oil, it's quick and easy to mix by hand. Toss in fresh or frozen berries and cherries, pop the cake in the oven, and you'll have a lovely dessert to cap your meal. Indian-Spiced Salmon (Pareve)—This Indian-Spiced Salmon recipe is a snap to put together—it takes just a few minutes to prepare, and about 15 minutes to cook. It's also delicious served chilled, so you can make it before Shabbat, then enjoy it for lunch. Lettuce Salad with Sun-Dried Tomatoes and Pecans (Parve or Dairy)—This Lettuce Salad with Sun-Dried Tomatoes and Pecans was inspired by one Giora Shimoni enjoyed at Bonofait, a kosher cafe and patisserie (now closed) in sleepy Kfar Rut, Israel. Broccoli Kugel (Pareve)—If you want to serve a warm dish for lunch, consider a do-ahead kugel. Roasted Cauliflower with Curry (Pareve)—Plain roasted cauliflower is plenty delicious, but jazzing it up with a little spice makes a good thing even better. 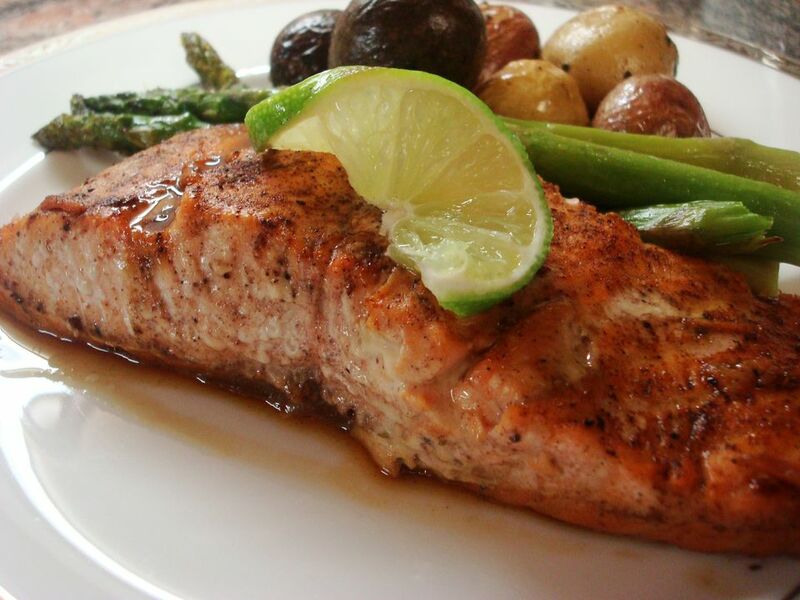 Curry powder is a great complement to the salmon, but feel free to experiment with other favorite blends. This is tasty both warm or cold, so it makes a great do-ahead dish. Custom Cake Mix Cookies (Parve or Dairy)—When you're pressed for time, shortcuts can be a big help. If you've got a box of cake mix on hand, you can hack it to whip up a batch of Cake Mix Cookies, customized with your favorite add-ins. Where Do You Find a Halal Turkey?